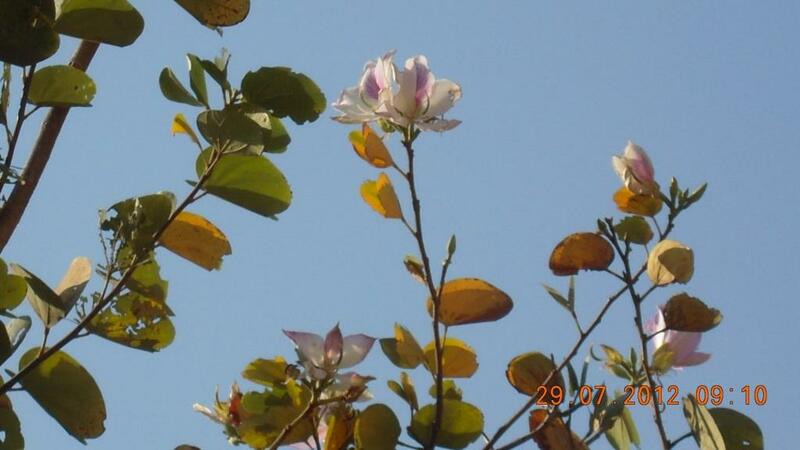 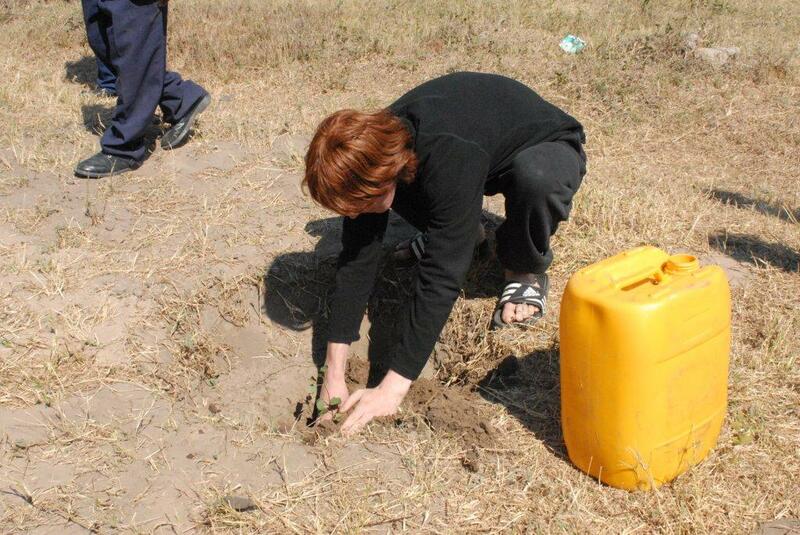 Back in the 1970’s when the school was first opened great emphasis was placed on planting trees in the school grounds. 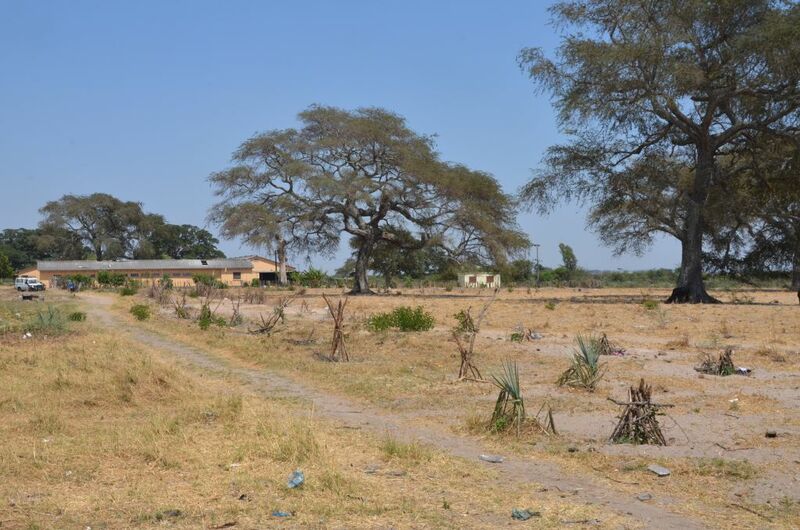 Because these trees were 40 years old their well established root systems were a potential hazard for the existing infrastructure. 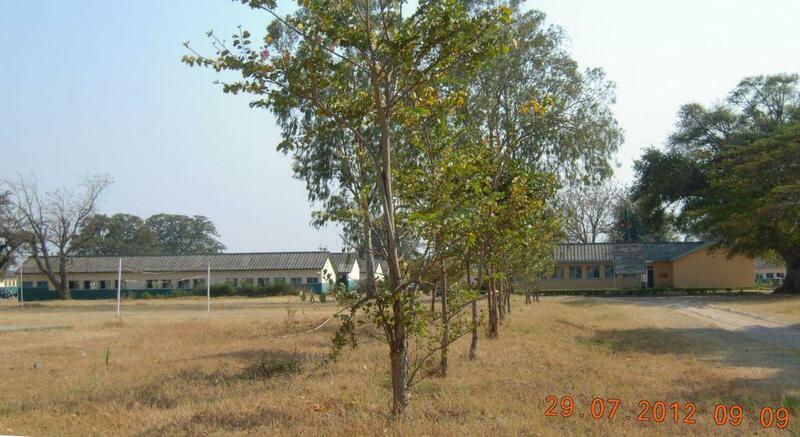 To avoid future damage from this several of these old trees had to be cut down. 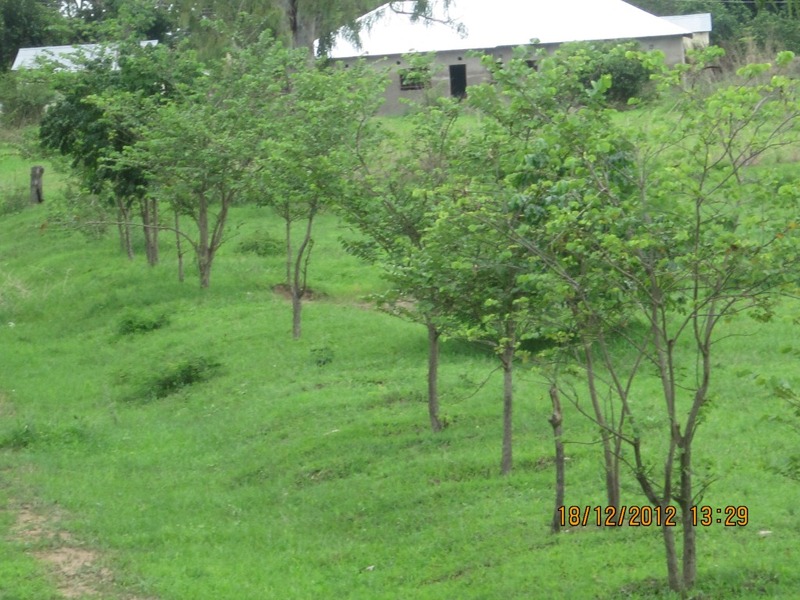 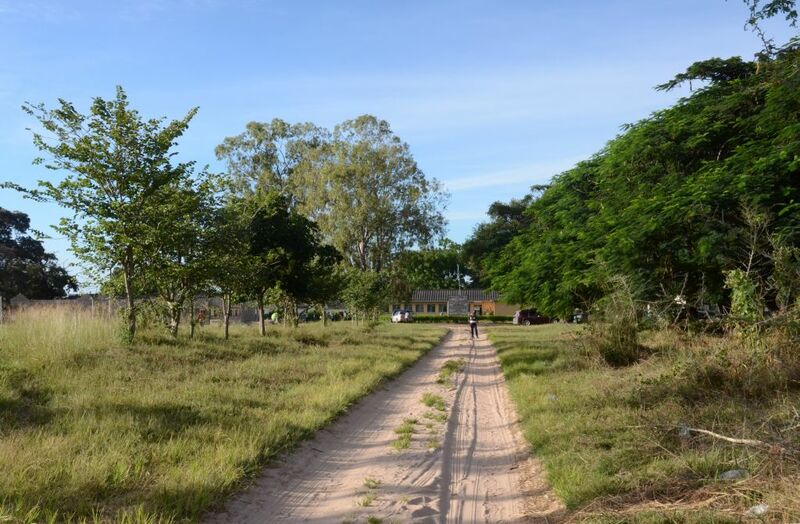 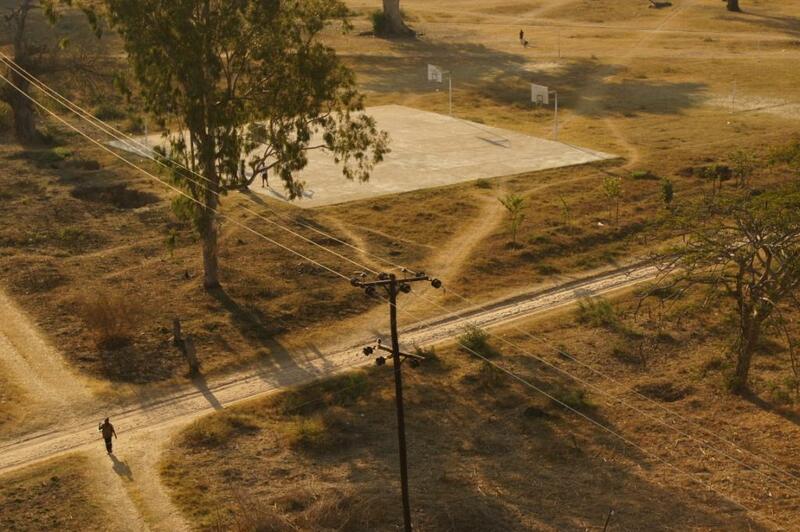 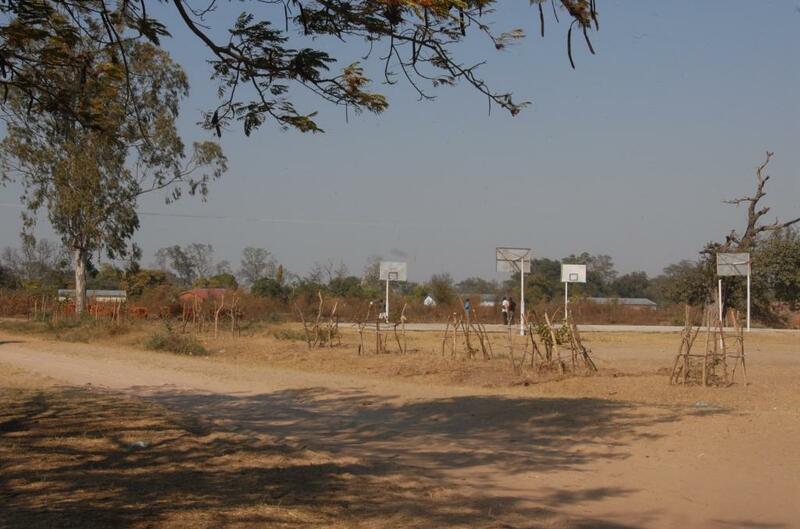 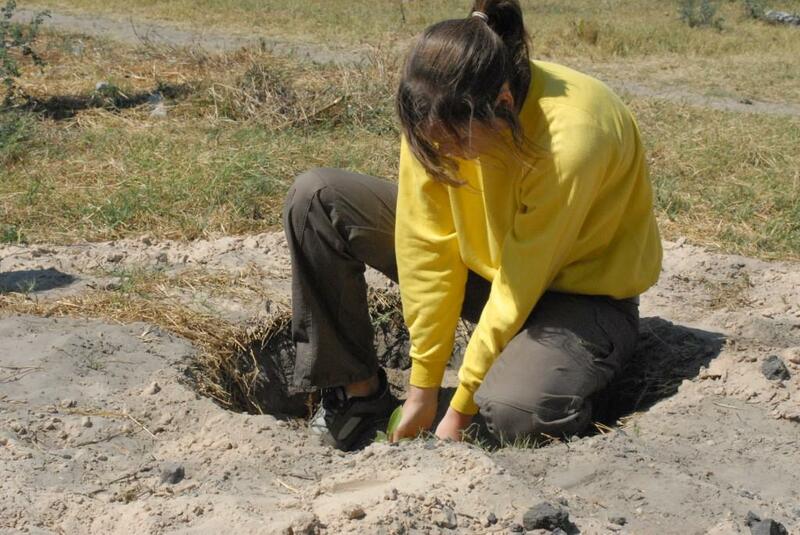 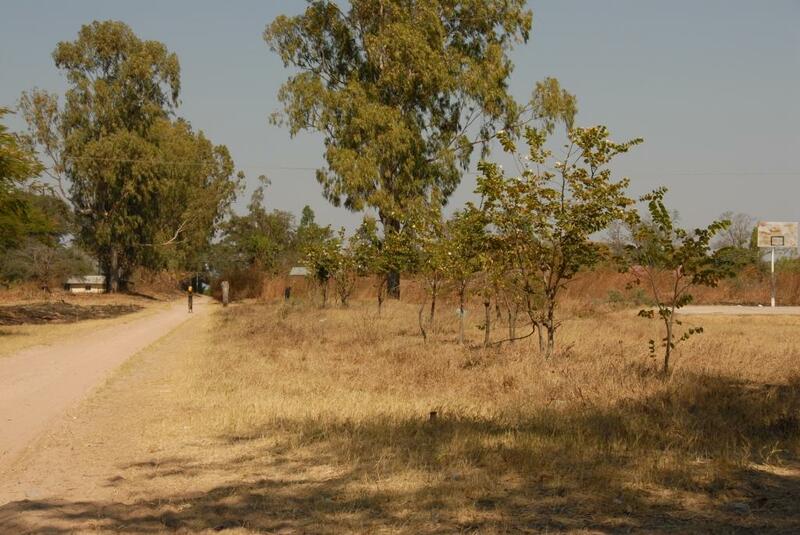 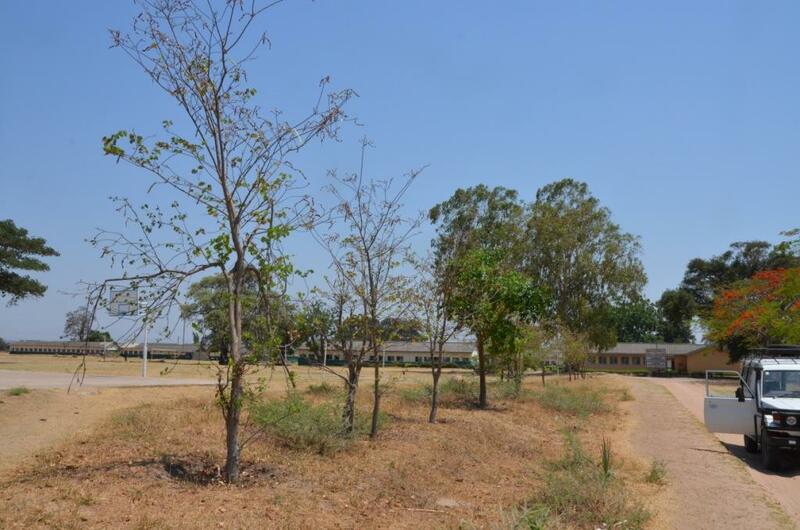 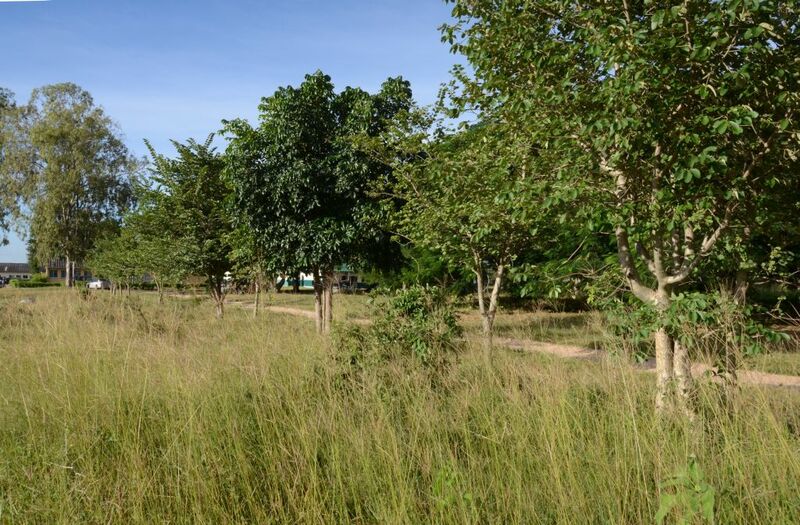 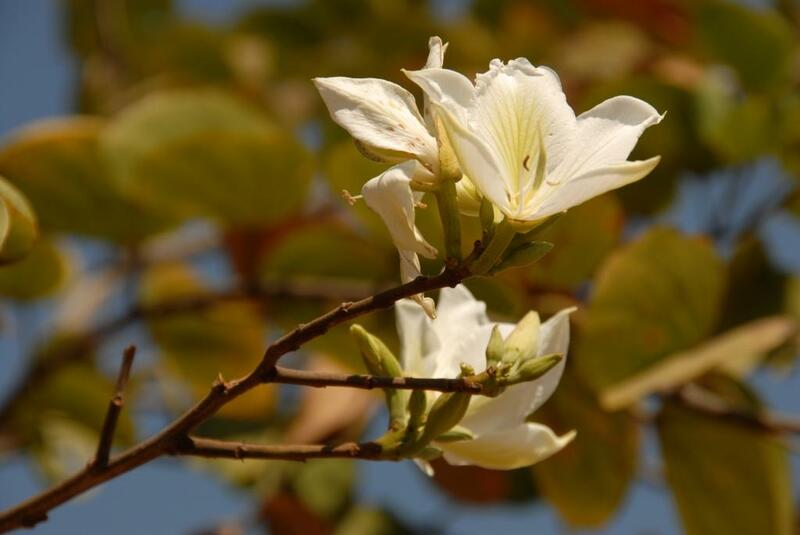 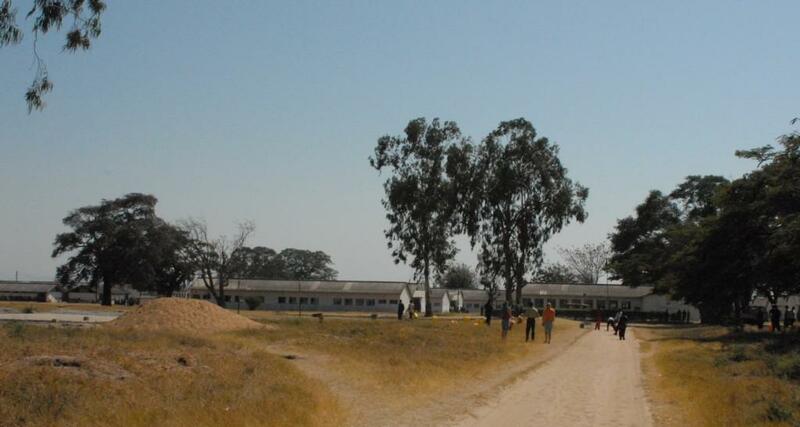 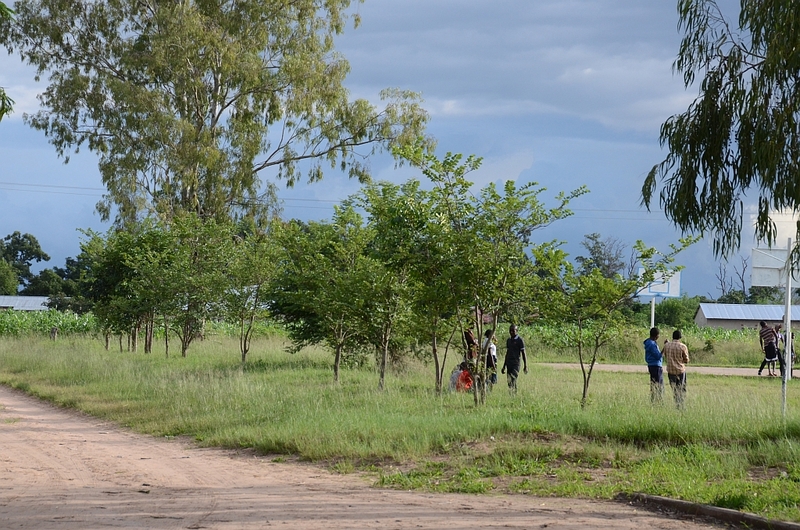 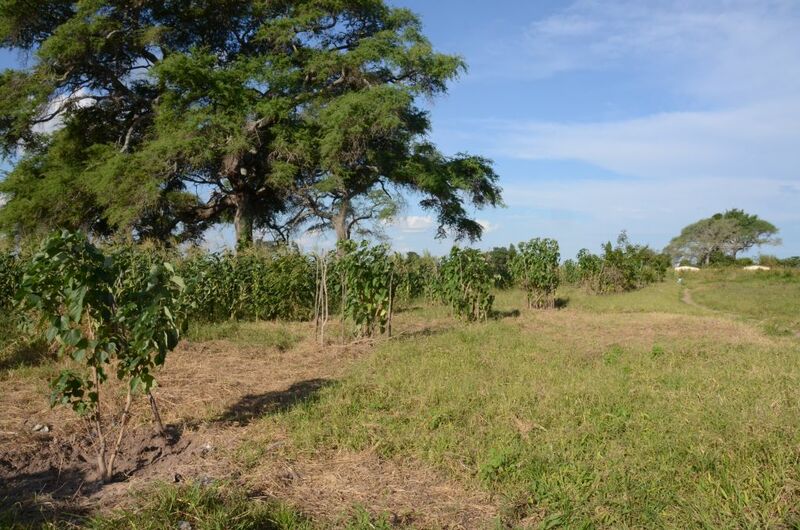 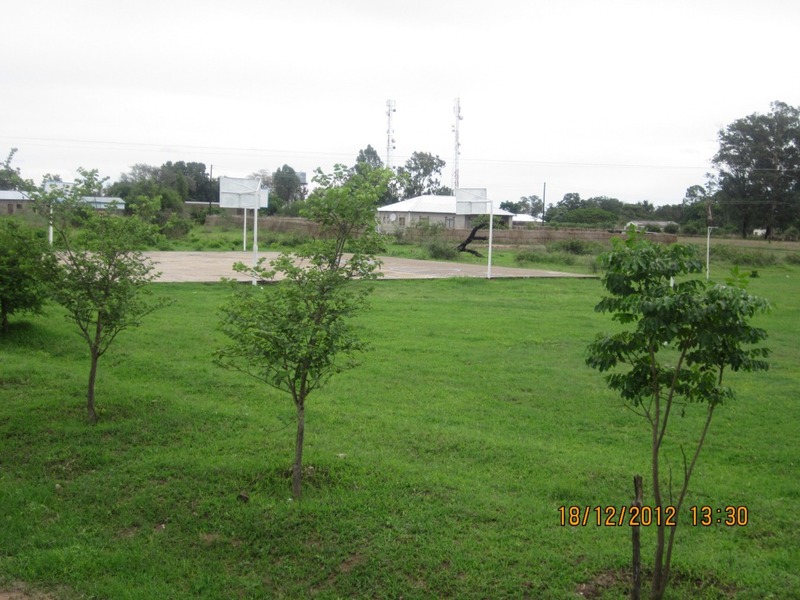 In 2006 the students who came to visit Namwala Secondary School planted trees along the entrance drive of the school together with local teachers and students. 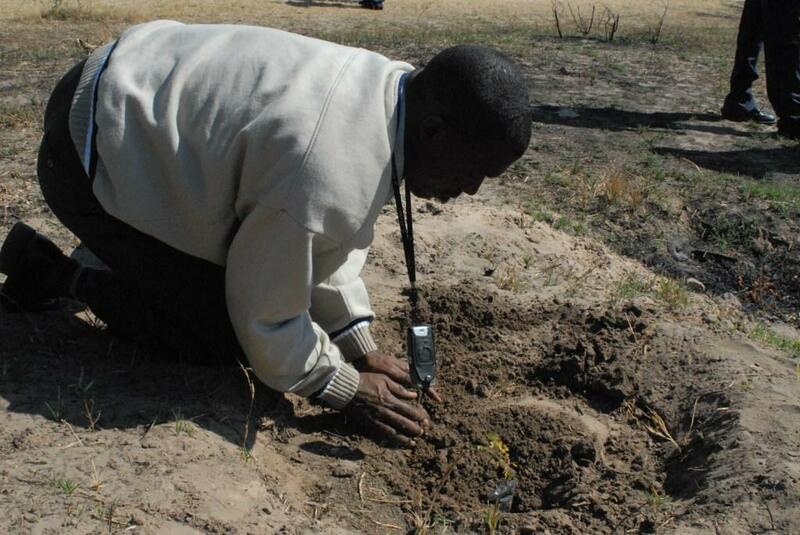 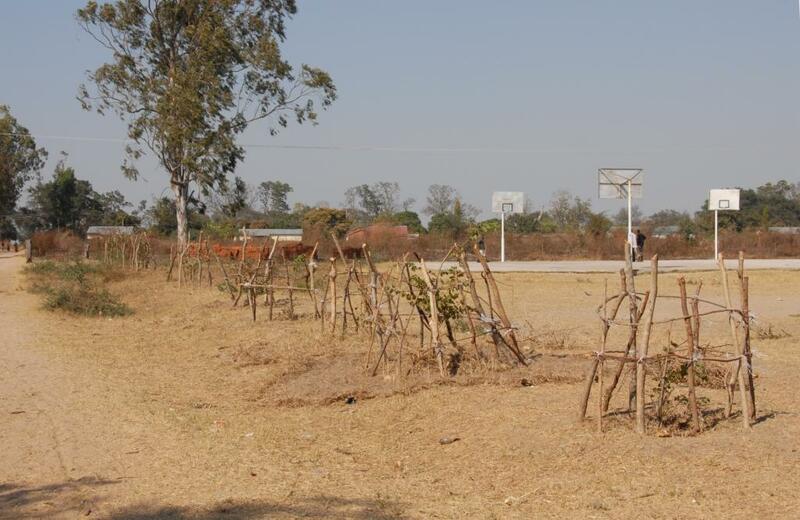 The actual seedlings that were used were raised by none other than Lydia Maonde, the wife of Simone Maonde, Namwala Secondary Schools first Zambian principal. 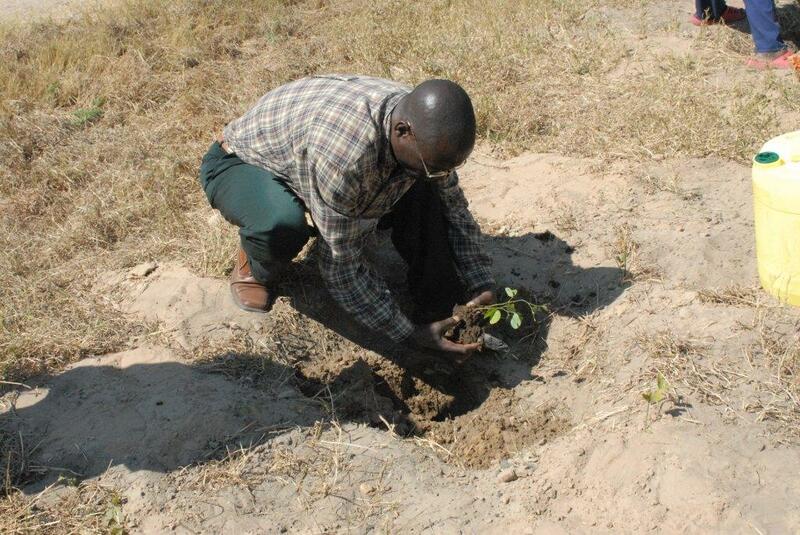 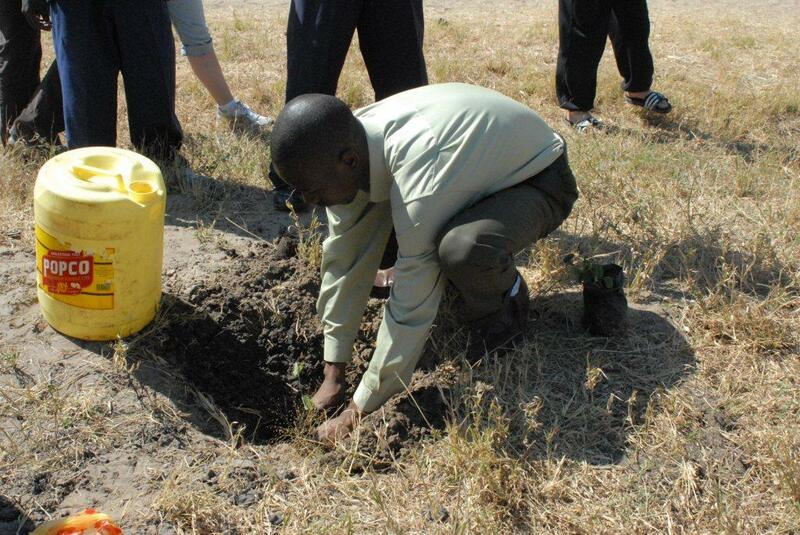 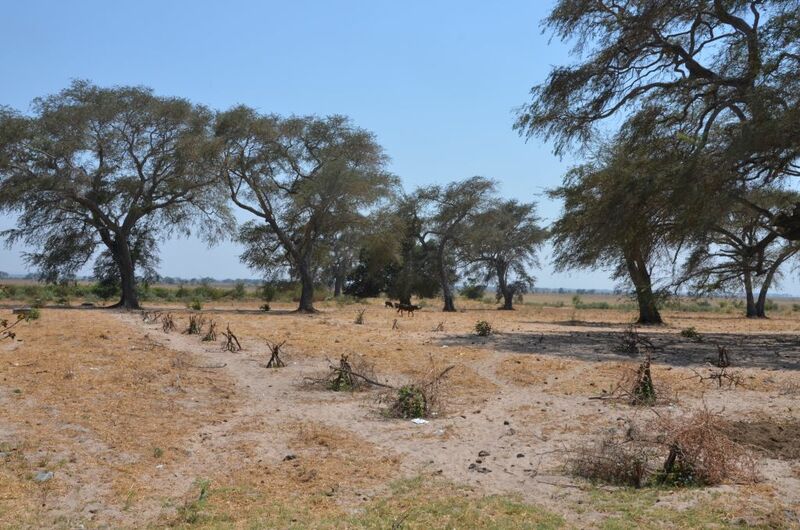 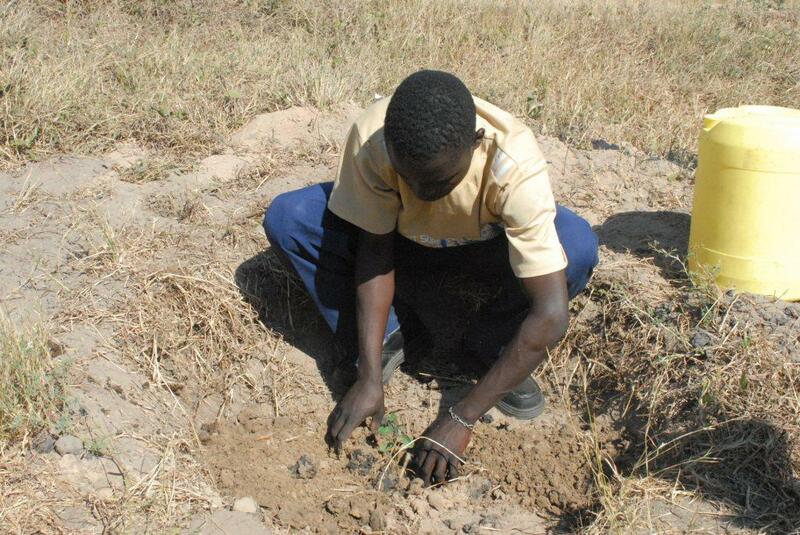 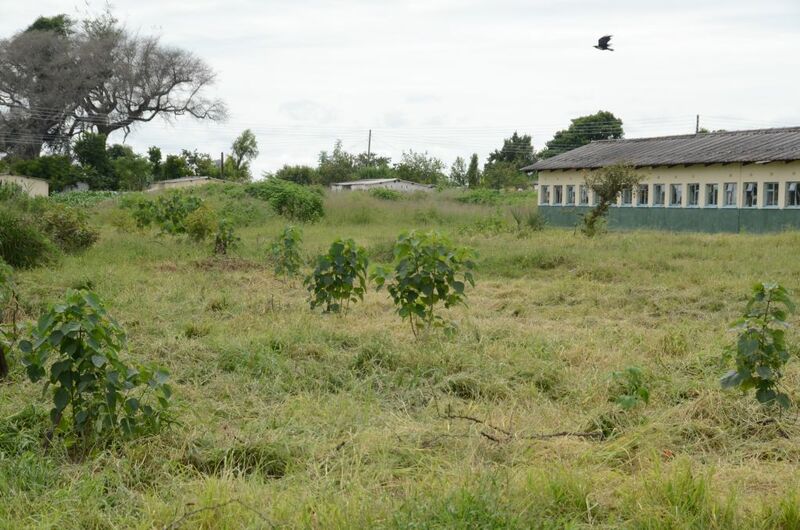 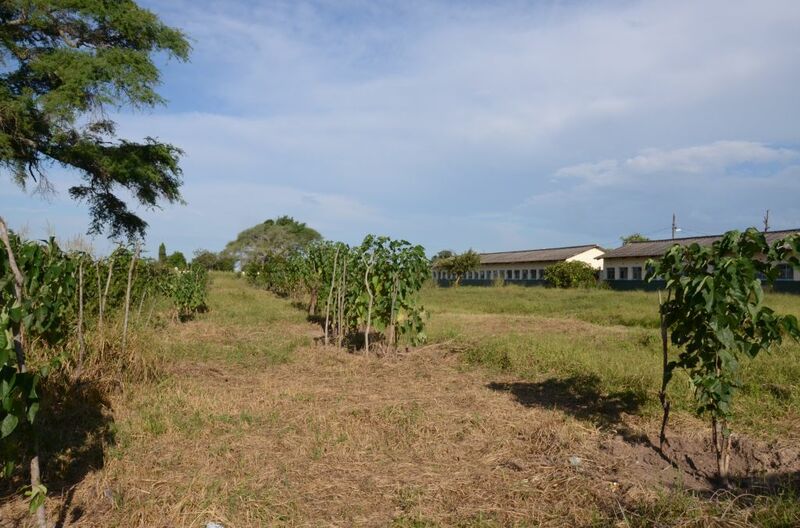 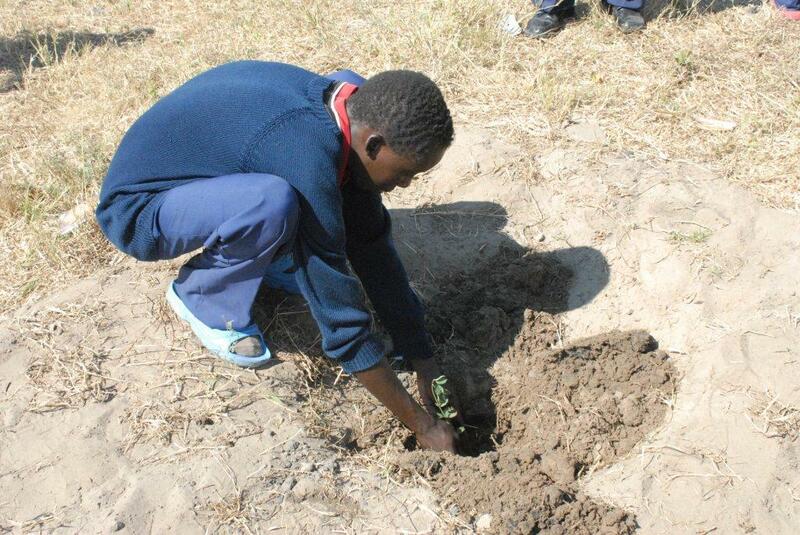 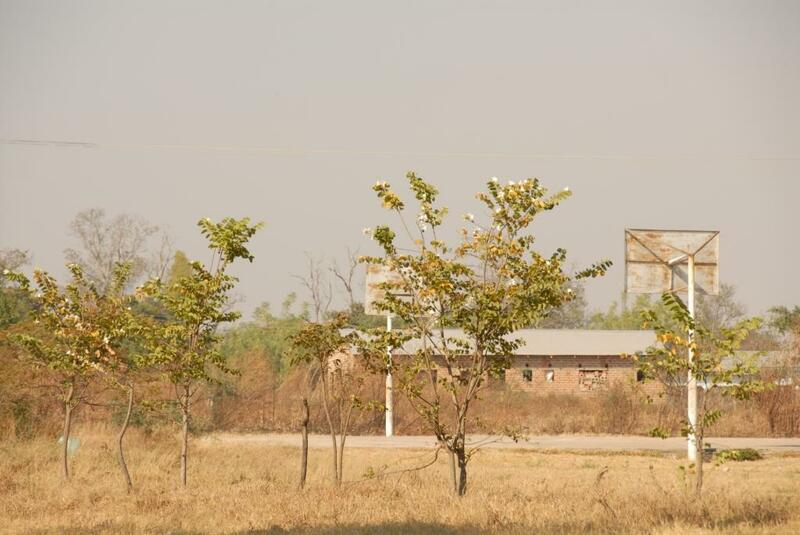 After the extreme storm of February 2013, which caused a lot of damage to the buildings, Christopher Mukuwa and pupils planted trees at the north side of the school premises as a wind breaker. 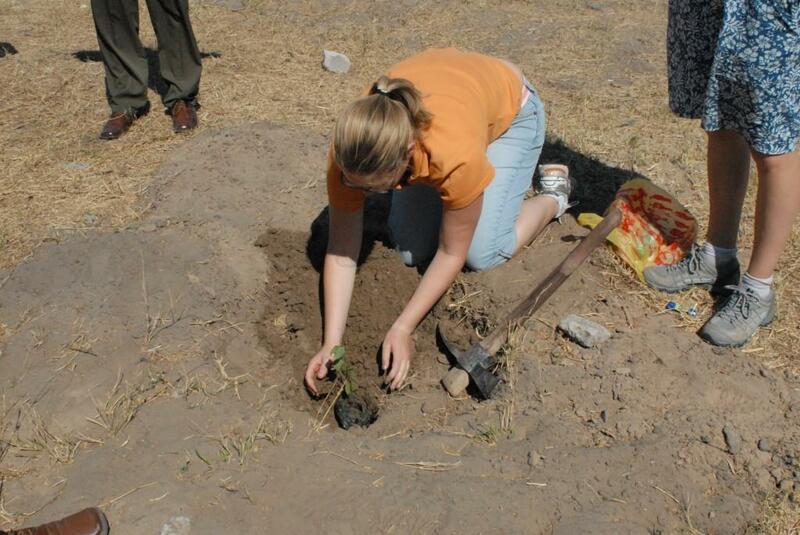 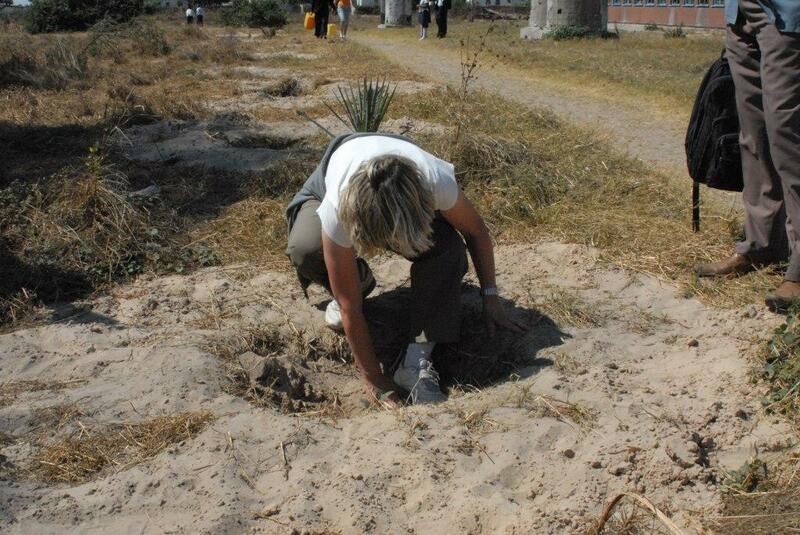 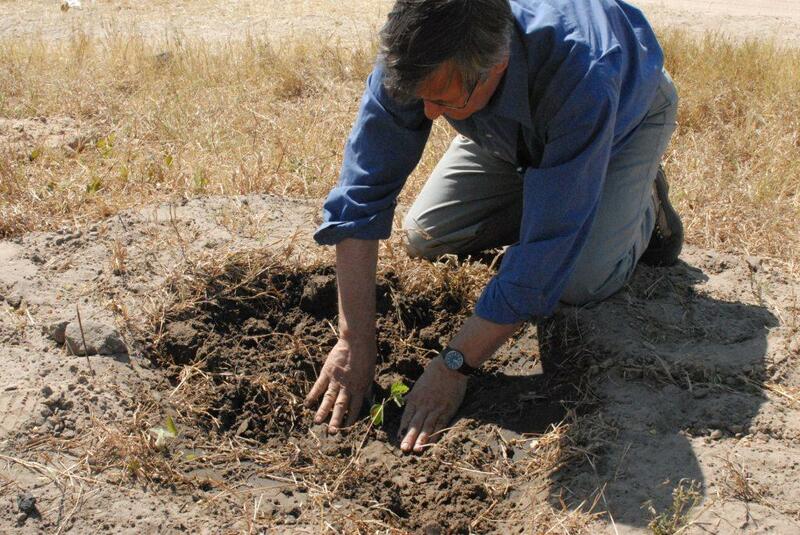 Additional planting is planned, not only to protect against strong winds but also to spend shade in the hot sun. 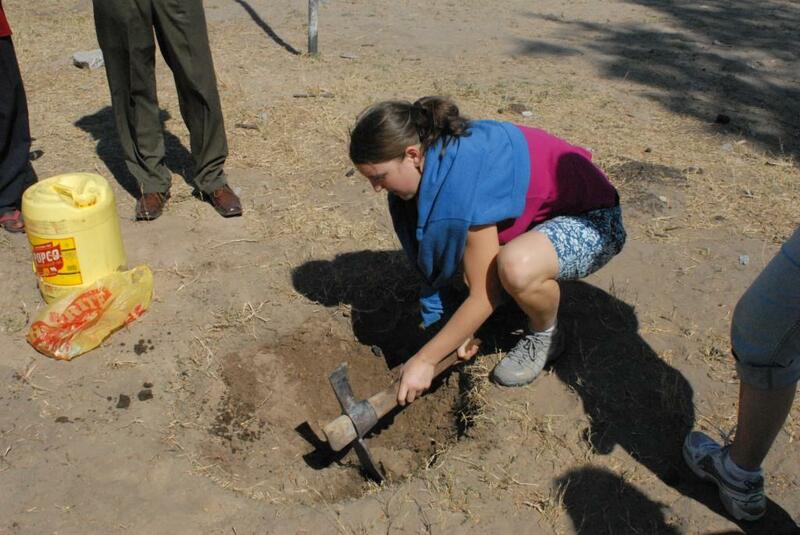 During the visit to Zambia of pupils of the Stiftsschule Einsiedeln this year we planted 45 trees on the grounds of the Namwala Secondary School. 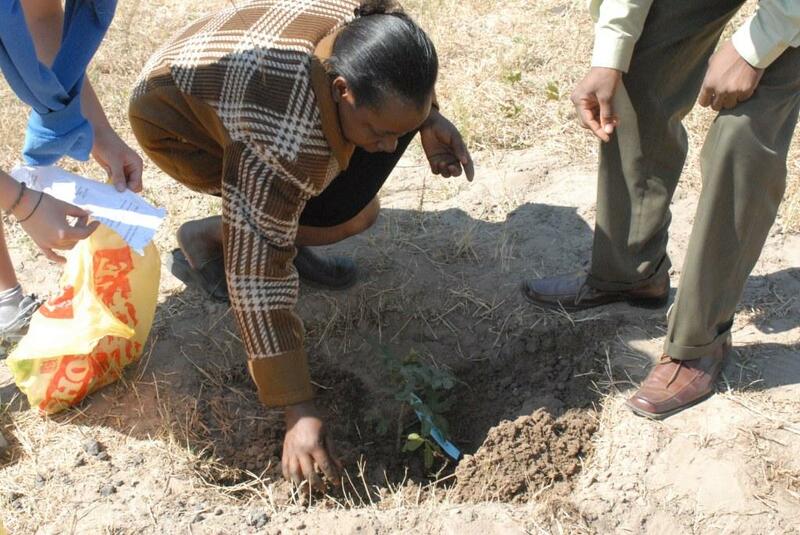 Deputy Headmistress Sylva Muyembe gave a speech in which she commented on the importance of the tree-planting project to the school. 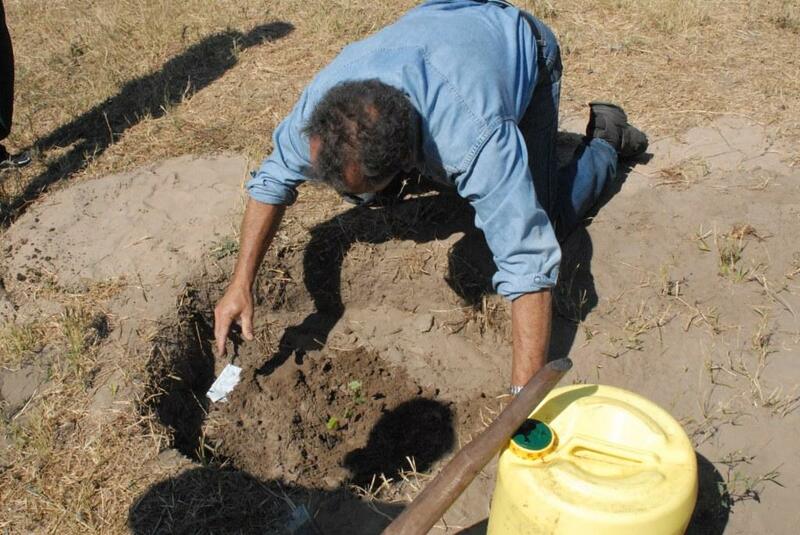 In the meantime the building contractor Thomas Phiri has connected the water pipe so that the watering of the trees is made possible.